1. Do you like to play games? What’s your favorite one? Yup I do, my all time favourites are Final Fantasy and Kingdom Hearts. But currently I’m into mobile games Tower of Saviors and Pearl’s Peril. 2. Smartphones are a liability or an asset according to you? 3. Do you like perfumes? Which is your favorite one? I don’t wear much perfume but I have one which scent I fell in love with, it’s The Beat from Burberry. 4. A book you would never forget! Sweet Friday Island by Theodore Taylor. I read this when I was young and it was tough for my age and actually don’t remember much of the story. I would love to get this book and re-read it, it has always been on my mind. 5. Which’s your fav song? I have 2 favourites. Besaid Island and Attack piano collections from Final Fantasy X by Masashi Hamauzu. 6. One thing that you wish would happen in your life! 7. What’s your definition of perfect? I guess be contented, happy with what you have and try your best in everything would be considered perfect. 8. Do you ever wish to return to your childhood days? 9. Your favorite topic for a debate!? 10. Do you like the present world? Yes for the beauty and uniqueness of our planet, and no for the dark side of humanity. If you could only live on one food for the rest of your life, what would it be? Use 3 words to describe you. 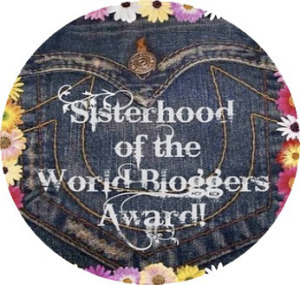 I’m super behind on my blog posts but I shall complete this award soon (Sorry, I’m so slow)! Thanks again for the nomination. Hehe, I’ve nominated you for the quote challenge! Congratulations! You’re a caring blogger who helps to build community. Thank you for being here with us. I loved your definition of perfect! N yep i’ve gotta rush n check out the beat by burrberry coz m looking for a new smell!! Thank you for the nomination Yen…:) ❤ ..